Cold-press juiceries are a hot trend right now. And, the Miami based Jucy Lu’s has really stepped out into the “too damn cute NOT to notice” category with their lighthearted branding and packaging design. 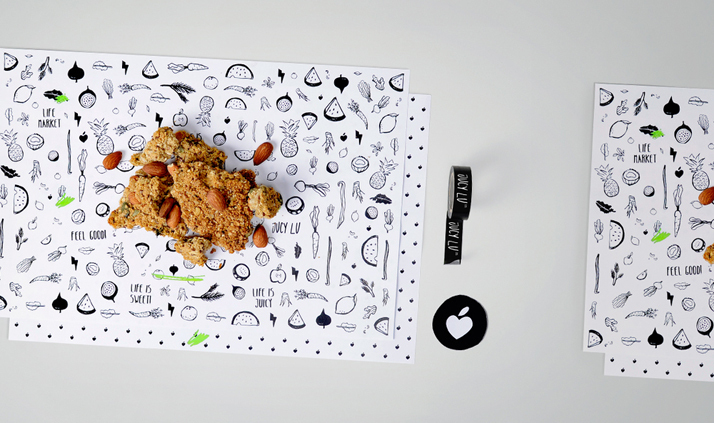 High fives to the design firm El Autobus, who are responsible for this great work. "Jucy Lu is a cold-pressed juice and health food shop that uses premium organic ingredients to provide necessary provisions to replace fast food with convenient healthy food. Jucy Lu does this by creating products that will not only be beneficial for you, but will also encourage you to live better." 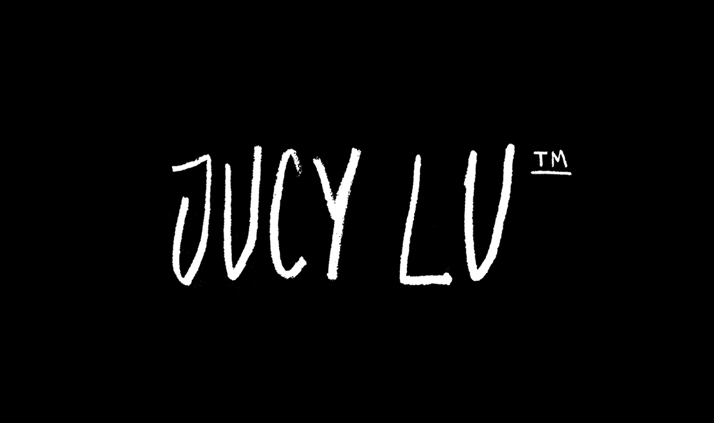 "The Jucy Lu logo is handwritten in all caps, with the distinct texture of the waxy crayon pencil it was created with. Also, drawn in this sketchy style is a robust set of illustrations of fruits, vegetables and all the other sort of things you might add to a fresh juice (a cute little ginger!). 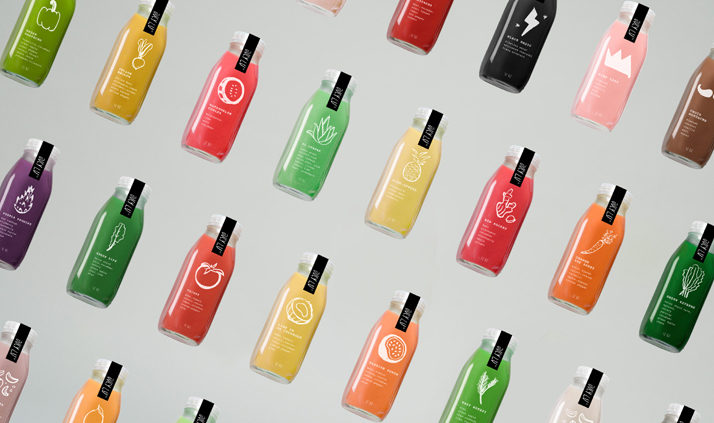 The magic with these relatively simple design elements is when they are combined with the PUNCH of a rainbow of juice colors that the actual product itself brings to the table. " 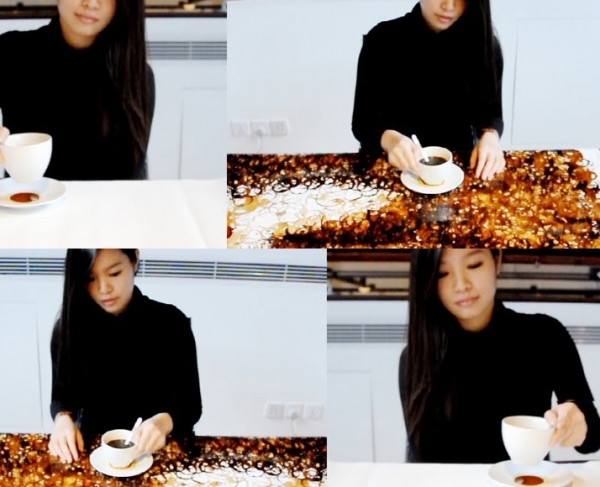 "Our proposal has at its core Jucy Lu’s altruistic philosophy while bringing attention to the handmade aspect of the food and juices they produce."